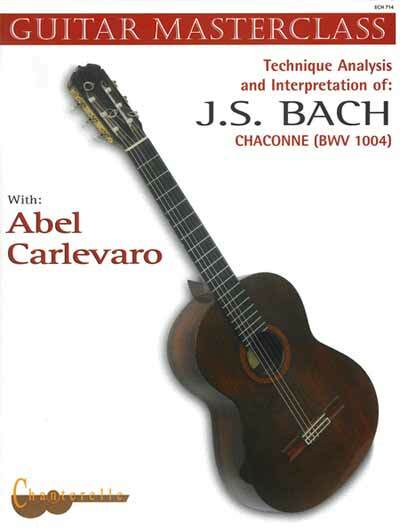 A technique analysis and interpretation of J. S. Bach’s Chaconne (BWV 1004) presented by the exceptional virtuoso, composer and teacher, Abel Carlevaro. The transcription is based on the original score for violin and has been adapted for guitar conserving the original style and spirit. Contents include sections on General Considerations, Mechanical Aspects, The Music Score of the Chaconne, The Manuscript of the Chaconne and Glossary of Technical Terms.